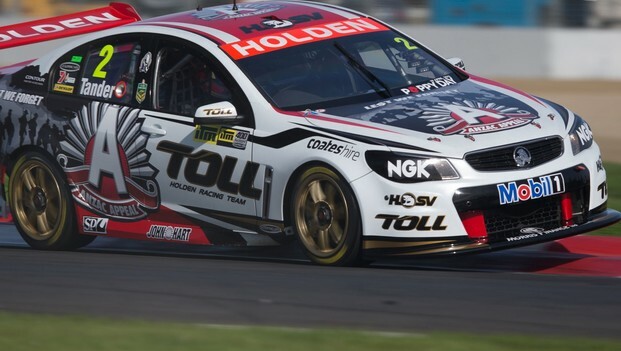 Despite rostrum pace at the back-to-back Tasmanian and NewZealand V8 Supercars Championship events, Holden Racing Team still has muchwork to do to re-emerge as a consistent front-running threat. That’s the view of Team Principal Steve Hallam, the EnglishFormula One veteran recruited by the Walkinshaw family to arrest the slumpwhich has seen Team Red go winless since Bathurst 2011. 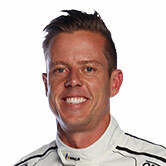 Hallam, who has been in charge since late 2011, hasreorganised the structure and personnel within the Clayton enclave, brought infellow Englishman Tony Dowe as engineering chief and led the development of theWalkinshaw Racing Holden VF Commodore Car of the Future. “I think we have the operational structure in place now, butwe still need to find some more performance,” he told v8supercars.com.au. 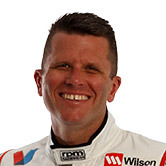 Both Garth Tander and James Courtney showed strong pace attimes across the two ‘off-shore’ events, with Courtney sitting third in thechampionship after Tasmania. Tander scored top 10 finishes in all four NZraces, running down and passing Triple Eight nemesis Jamie Whincup to finishsecond in the final sprint at the ITM 400 Auckland. While Hallam has out-sourced engine work to expeditedevelopment, he revealed the primary issue the WR-designed Commodores – whichare run by HRT, the Supercheap satellite and the D’Alberto’s customer HiFlexteam – have is a front-end handling deficiency. He confirmed both in-house design solutions and purchasingthe Triple Eight Race Engineering front-end had been considered, but would not revealwhich direction had been chosen. One impediment to going with Triple Eight is the supplytimeline which is said to be around three months. Another less logical and farmore galling issue for WR is that Triple Eight is home of the otherfactory-funded Holden team, Red Bull Racing Australia, which as Team Vodafone well and truly out-raced HRT in recent years. “We believe we need to move from where we are and it’s whatdo we move to?” explained Hallam. “The Triple Eight front-end is commerciallyavailable and is on a number of cars in pitlane. It’s not the sort of thing youwalk up to the Triple Eight shop and walk out with under your arm because thesethings take time. Hallam made the point that once a direction is chosen thehandling problem won’t be automatically resolved. Hallam said the reorganised engineering structure under Dowemeant the process would be resolved more efficiently than previously. Hallam refused any temptation to put bold timelines on aHRT’s recovery to full competitiveness, stressing his confidence in solidprocess and structure.